Cancer-specific survival (CSS) among patients who have bladder urothelial carcinoma (UC) is significantly better among married than unmarried patients, especially those who were widowed, according to a new study. Compared with married patients, single, divorce/separated, and widowed patients had a significant 28%, 25%, and 67% increased risk of dying from bladder UC, respectively, a team led by Junjie Yu, MD, of Subei People’s Hospital of Jiangsu Province in China, reported in Medicine (2018;97:e11378). The 5-year CSS rates were 85.7%, 81.4%, 79.7%, and 72.7% among married, single, divorced/separated, and widowed patients, respectively. Widowed patients had the worst 5-year CSS regardless of tumor stage and pathologic grading. 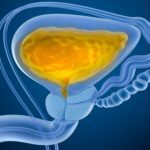 Using the Surveillance, Epidemiology and End Results (SEER) database, the investigators identified 133,846 patients diagnosed with bladder UC from 1988 to 2009. Of these, 89,187 (66.6%) were married. The authors cited research showing that married individuals have better health because they have more material resources and social support and less stress, and they engage in less risky health behaviors. “Unmarried and especially widowed patients may suffer from a lack of emotional support and social attention,” they wrote. Niu Q, Lu Y, Wu Y, et al. The effect of marital status on the survival of patients with bladder urothelial carcinoma: A SEER database analysis. Medicine. 2018;97:e11378.